With the release of Raekwon's brand new album Shaolin vs. Wu-Tang this past Tuesday and the Wu essence glowing brightly in the public eye once again (nearly twenty years after their debut), now would be a good time to become familiar with the history of the Wu-Tang Clan and its deep mythological elements. The man who started it all and produced their first dozen or so albums, The Rza (known as The Abbott of the Wu-Tang Clan), published The Wu-Tang Manual in 2005. 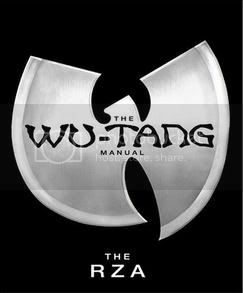 The book has the look and feel of a mystical manual and contains a full introduction to the mythological universe of the Wu with chapters on the genesis of the nine-member group, their infatuation with chess, kung-fu movies, spirituality, organized crime, comic books, and much more. One of my favorite parts is a section of the book in which Rza explains the lyrics to some of their greatest songs. For me, this book was one of the first bricks in the foundation of knowledge I've been building for years now. It introduced me and encouraged me to study the major wisdom books in the world like the Tao Te Ching, Bhagavad Gita but also The Bible and Holy Qur'an. From the beginning I wanted to emulate The Rza whose breadth of knowledge spans both the spiritual and scientific realms (he often talks about physics in his work) and that really led to the voracious reading/study habit I've had that has led me to the works of people like Joseph Campbell and James Joyce. I didn't learn any of this stuff in school, not even in college, but my mind is consumed by it and I've reached the point where I will not be happy in a career that doesn't involve intellectual expansion and expression. I am not exaggerating when I say that this book was the springboard that flung me into this new universe. Rza released a second book, The Tao of Wu, last year and I even drove three hours from San Diego to Los Angeles for a book-singing but I've yet to get deeply into that book with all the Joyce studies I've become immersed in this past year and a half. Once I do get to feast on it, I will definitely share my thoughts here. Rae's album was not the only piece of pure hip hop music to be released on Tuesday. 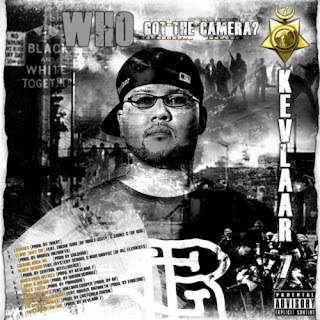 The new EP from Kevlaar 7 entitled Who Got the Camera? became available on CD and, as much as I'm enjoying the Raekwon album, this is really my favorite record of the year thus far and truly one of the most powerful albums I've heard in a long time. If you'd like to see what I'm talking about, check out this analysis I wrote for one of the tracks entitled "I Have a Dream" which parallels and re-examines the world through Martin Luther King's famous speech. Also, in the same vein, I have to mention a brand new EP from another underground emcee from New York City by the name of Zagnif Nori (who appears on the opening track for Who Got the Camera?). His new EP is a dense mixture of hard drums and smokey samples with sharp, thought-provoking lyrics. It is entitled "Insignia" and it is available to download for free at this link.